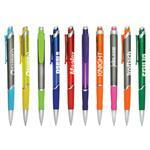 This attractive pen features a popular contoured barrel and is available in a multitude of accent colors. 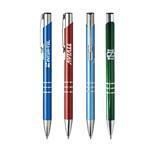 With sleek styling and a great "hand-feel", the Cougar pen offers a silky, smooth writing experience. 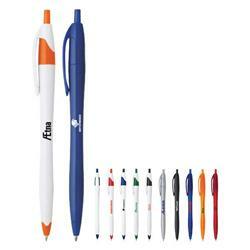 A great value priced pen! Production Times Available: 5 business days standard. Free Rush Production Available! Available Imprint Options: One color imprint only. Available as white barrel w/ colored trim or as solid barrel color with matching trim.